Summary: Benedict XVI replaces the humble turban with the extravagant (and political) tiara on the papal crest. 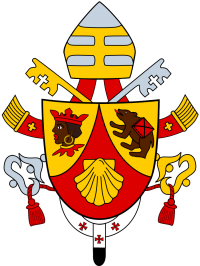 Benedict XVI's crest, topped with the tiara. Those who attended last Sunday Angelus in St. Peter's Square in Rome, saw the shield premiere of Benedict XVI. The tapestry hung from the window included a development that has generated some suspicion. The Pope has recovered to its emblem the (affluent) tiara in place of the (less affluent) mitra adopted at the beginning of his pontificate. It is unknown what the change is due. The theologian José María Castillo believes that the new product represents a step backwards. "What anyone can think of is that the Pope removes a distinctly religious sign [the turban] and replaced by a strictly political [tiara], which is imperial and therefore authoritarian." Remember this theologian Paul VI stopped wearing the tiara, a huge crown of three levels with lots of inlaid precious stones, and the chair that was carried on the shoulders. It was in 1963, after Vatican II. 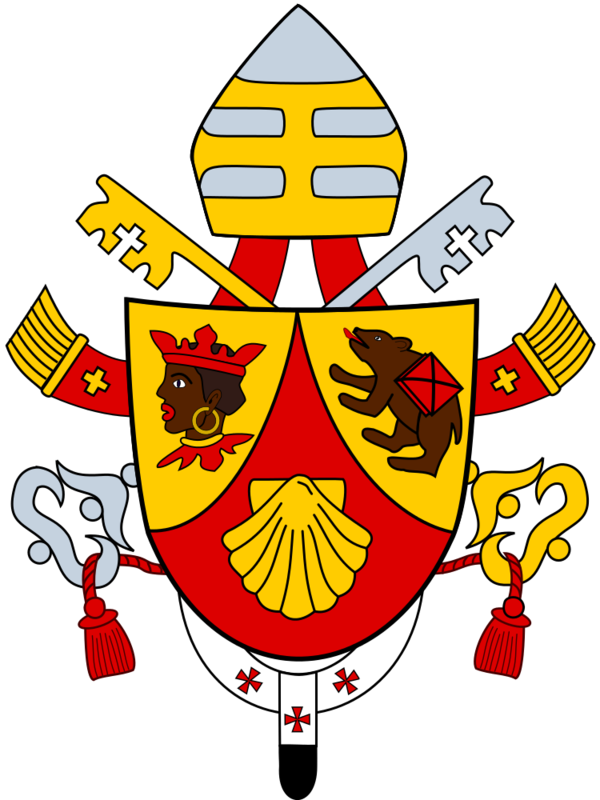 But the tiara in the papal shields continued. The theologian Juan José Tamayo also dislikes the change: "This pope is a friend of symbols that relate back to the Middle Ages." He explains that the tiara represents the three powers that hold the Popes: the teacher (define what is truth), holy (forgive sins and to administer the sacraments) and rule (the Church). This article from El Pais has been translated from its original Spanish version by ElPais.com.